Email is one of the most powerful tools for communicating with prospective customers. But designing your mails for optimal customer conversion isn’t always an exact science – every audience is different. When your bottom line rests on the efficacy of a subject line or design, A/B testing your emails can help you send the best ones. An A/B test (also known as a split test) is when you send two slightly different versions of the same email to a sample of your contacts to test which email performs best. Once you’ve confirmed which one works better for that sample, you can send the better-performing mail to the rest of the database. 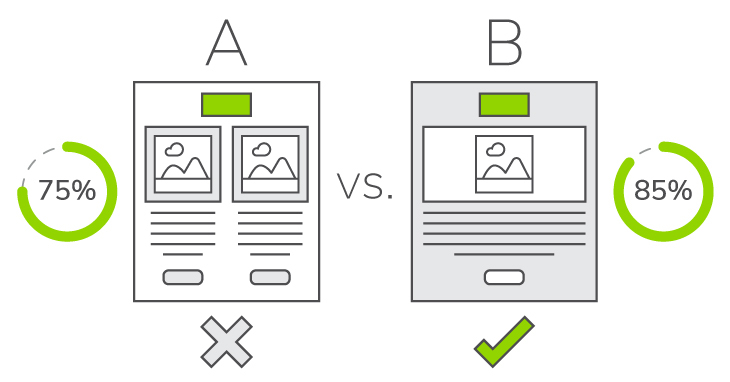 Why Do an A/B Test? Split testing is all about optimising the messages you’re sending to your existing subscribers; squeezing as many conversions out of your database as possible. Why? Because it’s free! Compared to finding new clients and subscribers through, say, a Google ad, maximising on the contacts you have in your database is far easier, cheaper, and more effective… And even the smallest improvement on your email click-through rate can have a massive impact on your email-marketing ROI. The most important part of an A/B test is that it has a defined, measurable outcome. You need to know exactly what you’re testing. So, whatever you decide to test in an email A/B test, make sure you change just one element at a time, so you can easily track and analyse what changes have an impact. Who your email is from can have a big impact on your email open rate. Choose a name that looks like spam and your contacts may ignore or delete your mail before opening it. Try different from-name strategies, like your company name (Everlytic), the writer’s full name (Candice Lee Reeves), or a combination of the two (Candice from Everlytic). 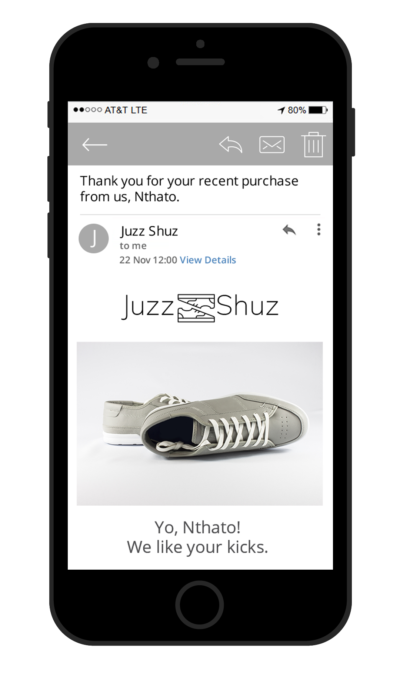 This is the first thing your subscribers see when they receive your emails, so it can have a massive impact on open rates. Test different subject lines, different subject lengths (Return Path says 61 to 70 characters is best), emojis (if your brand suits them), or using your brand name in the subject to see what resonates best with your audience. 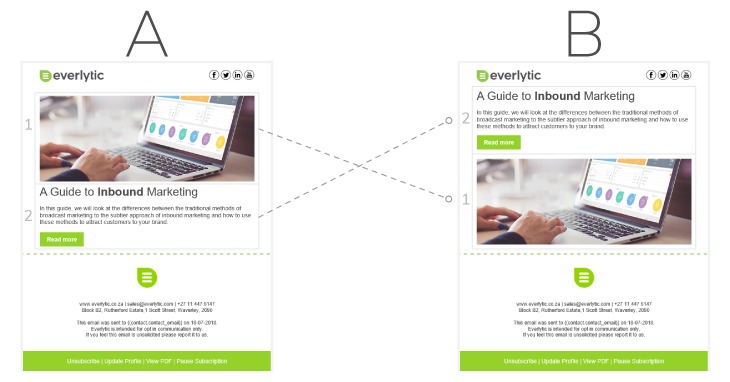 With Everlytic, you can add personalisation tags to your email subject lines. Basic personalisation, like greeting your reader by name (Hi Candice) is common. Other personalisation tactics include location (weather, holidays, etc. ), any personal preferences that you’ve collected, or even content preferences. Your call to action (CTA) should be obvious – make it stand out by making it look like a button in your email. Experiment with the position, colour, and language of the button. You can even test if your audience responds better to just one CTA button or more than one. Analyse how different content strategies like special offers, discounts, and coupon codes resonate with your subscribers, so you send content that more of your audience likes. Changing the tone of your email from formal to informal (or vice versa) might make a difference to your audience. A business-oriented list, for instance, may prefer more formal language, while emails from a casual clothing brand may do better with colloquial language. The rule of thumb here is: Write how your audience speaks. Is it better to send the full text of a blog post over email, or should you provide a short excerpt of it with a link to the full online version? That depends on what your audience prefers, and if you want them to navigate to your site. Test out the options to see which works best for you and your subscribers. 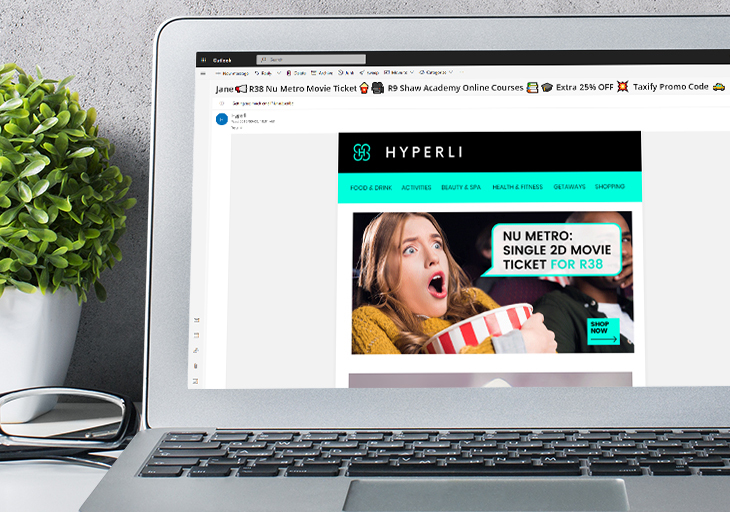 Images, rotating banners, and GIFs can make your email much more appealing. But they can also increase the size and spam risk of your email. Test things like photos vs animation, larger vs smaller images, and the text-to-image ratio to see what works. Colour is also an effective way to draw readers’ attention to your email. Experiment with the colour of your background, buttons, headings, and other accents in the email. But just change the colour of one element per test (background, buttons, or headings), so the response is easier to track and analyse. Finally, experiment with the layout of your emails. Image placement, number of columns, and the position of buttons and links can all have an impact on how well your readers respond to your email. Pearson’s Law says “That which is measured improves. That which is measured and reported improves exponentially.” The same goes for your emails, thanks to A/B testing – and that’s the bottom line.